The classy and luxurious 8 Park Avenue is located in the heart of Jing'an district. The place is peaceful and quiet, a walk through the winding pathway offers a multi-culture view; you will see foreigners and locals, young and¬ old, bachelors and families as tenants and residents. Along with luminous and well-designed interiors and rich greenery, 8 Park Avenue is full of amazing amenities, like, gym, outside tennis court, playgrounds, barebecue areas and a small bowling alley for relaxation and play. A well-maintained clubhouse with a 50-meter indoor swimming pool, the rocky cliff wall and small stream beside pool fashioning a lovely view of nature. This compound offers luxury apartments in Shanghai. 8 Park Avenue has the ideal neighborhood with famous fitness clubs, healthcare centers with English speaking staff, international supermarkets, cafes, salons, shopping centers, 5-star hotels and many more facilities in Shanghai. Other than that, this area is very easy to navigate and the Changping Road metro station is just 5 minutes' walk from 8 Park Avenue. Moreover, the eminent Jing'an Temple is 15 minutes' walk from 8 Park Avenue and the popular tourist destinations like People's Square and the Bund are less than 30 minutes' drive from here. One Park Avenue is situated in the heart of Shanghai and hardly 10 minutes’ walk from Jing’an Temple. The compound is specifically designed with resident’s comfort in mind; the walkway rides through the lavish greenery, willow trees, a pond beside the BBQ area and an elegant gazebo to make residence feel refreshed and calm. If you are looking for apartments in Shanghai city center, this could be the perfect one for you. 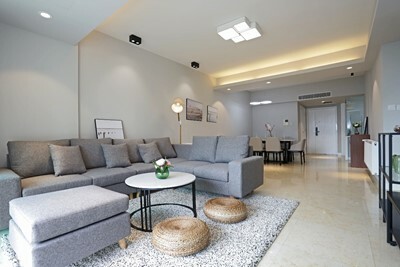 These apartments in Shanghai offer a perfect combination of international and Chinese culture; while walking through the compound you will witness diverse and enticing environment –children playing in the clubhouse, couples hanging out and the old people socializing. The 27-32 floor apartments are well equipped and maintained, offering a skyscraper view of the compound. The clubhouse at One Park Avenue is not as modern than others but highly popular among the tenants. It includes a covered swimming pool, playing area, aerobics area, Jacuzzi, laundry center and many other amenities. Aside from amazing staff and residents, the one thing that makes One Park Avenue an ideal place to live in Shanghai is its location. It is surrounded by amazing healthcare, dining, entertainment and workout facilities with English speaking staff and specialists. It is an easy to navigate place, you can easily go anywhere as the Changping Road and Jing’an Temple metro stations are at walking distance. Jing’an Four Seasons is comparatively smaller than the other compounds but it is located on the top of West Nanjing Road metro station. The thing that makes it enticing is its peacefulness and tranquility, this compound does not have luxuries like BBQ area, big ponds or rich greenery but it is located right in the center of Shanghai. Most people aspire to rent an apartment right in the city center of Shanghai, the Jing’an Four Seasons is the perfect place for them. Additionally, this cozy place incorporates onsite amenities and greenery to make it a desirable living compound. Jing’an Four Seasons’ location is historical and commercially important in Shanghai. It is surrounded by the world’s largest Starbucks, the newly-built Taikoo Plaza and Wujiang Pedestrian Street, best for dining and shopping. You will find all type of stores here, from international stores like Sephora, H&M, and Zara to local Chinese stores, boutiques, salons etc. Other than that, you will find everything here, from an English speaking hairdresser, doctor to vegan foods. As the apartments are located near West Nanjing Road, all the famous places are accessible by foot, metro, and bike. Jing’an Temple is only 10 minutes away and Bund is 20 minutes’ drive, whilst Xintiandi only takes 10 minutes by metro. If you are looking for luxury apartments in the Former French Concession The Summit Residence might be perfect for you and your family. Sited on the Wulumuqi Road and adjacent to Changle Road, The Summit is one of the largest compounds in the Xuhui District with seven towers, from small five-storey buildings to giant 43-storey towers. It is designed by international architects such as LRF Designers Limited, Hasse11 Limited, and Terry Farrell. The residents and tenants can choose from a number of unique architectural options fashioned by individual landlords. The complex which is located in Shanghai city center has around 359 units, owned by different landlords which means unique layouts, including apartments, penthouses, and suites with suburb rooftop gardens and small houses with private gardens. You can enjoy all the premium amenities from spacious parking to a fitness room, a six-star deluxe guest club, 24/7 management, and security service, and a clubhouse full of amenities for the residents to relax. The Summit is located in the heart of the Former French Concession. Apartments in the Former French Concession is one of the top choices for expats in Shanghai. 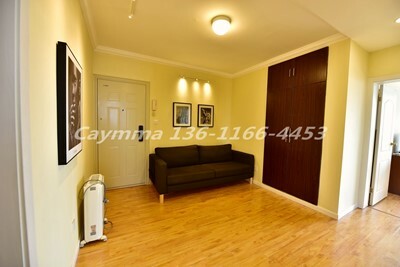 An excellent opportunity to rent an apartment in the French Concession area! Experience life in one of Shanghai's most historical areas. Located in the Jing'an District, Ladoll International City is the perfect combination of modern living and nature-filled sanctuary. This compound will give you a unique rustic feel of the countryside with its wooden bridge over a shallow pond, a beautiful gazebo and Fengshui outdoor terrace in the backyard. The unique design of the compound is a retreat for all the working people as it stimulates a peaceful and refreshing environment with its lush greenery and architecture. The amenities like well maintained indoor swimming pool, tennis court, a well-equipped gym, sauna and yoga room makes this residence more desirable. 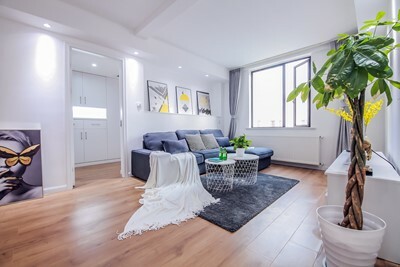 The central location of Ladoll International City makes it the best choice for people who wish rent an apartment in Downtown Shanghai, where they will be surrounded by countless options to shop, eat and explore. Other than best restaurants, nightlife venues, and shopping centers, expats can reach West Nanjing Road, People's Square, Jing'an Temple, the Bund and many other renowned places in Shanghai within 10 minutes. Small grocery stores, salons, pharmacies, ATMs and convenience stores are around the corner. Whilst, international supermarkets like city shop in the HKRI Taikoo Hui shopping center, Parkway Health, and 5-star hotels are within 1 kilometer of the residence. Other high end and expatriate desirable amenities like fitness centers, Michelin-starred restaurants, salons and service centers are also easily reachable. The Top of the City complex is situated in a peaceful location surrounded by an astonishing manmade lake and rich greenery, it is one of the prime locations in Downtown Shanghai. The architecture is magnificent with diverse decoration, advanced security system and management. The main entrance of the Top of the City complex is at Da Gu Road, which is well known for its nightlife. The Top of the City includes an indoor swimming pool, fitness center, satellite TV, Sauna, Spa, Coffee Shop, yoga facility and a joyful playground for children. We are confident that you would love to call the combination of old-fashioned comfort and modern conveniences your home. Feel the relaxing effect of calm waters as you walk through the lake-facing courtyard or relax in your private balcony. Come home to unbeatable comfort of Top of the City complex, where your desirable and comfort-oriented amenities awaits you. 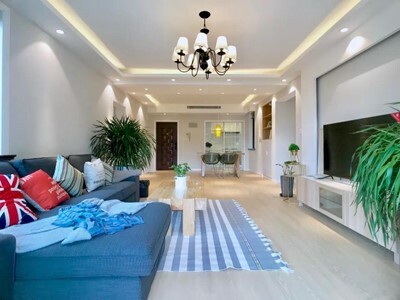 If you are looking to relocated with your family into a modern and nice apartment in Shanghai’s city center, Top of the City would be the perfect choice. The Da Gu Road is in the heart of Shanghai and very close to all the amazing places like Shanghai Museum, Shanghai Theater, People’s Square, Yan'an Highway and the Nanjing West Road Shopping center. The neighborhood of the Top of the City is the choice of every expatriate and foreigner as there are amazing eateries, service and shopping centers to enjoy Shanghai to its fullest. 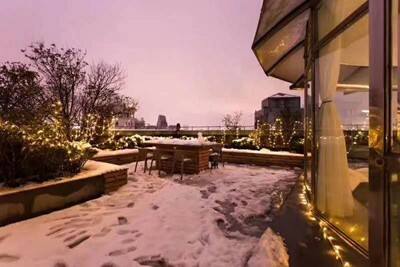 Oriental Manhattan is a compound offering 1 to 5 bedrooms apartments for rent in Xujiahui. 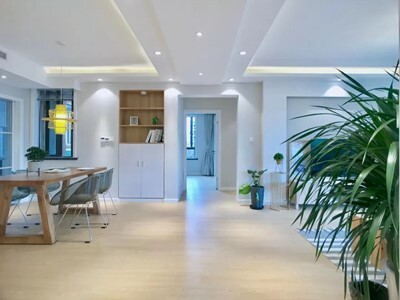 The compound is the most popular apartment community in Shanghai because of its ideal location at the heart of the city in the Xujiahui commercial area. The Upper East portion of the complex that was built in Phase III is pre-renovated. The portion is decorated with high-quality appliances and furniture. The American Clark Hatch Group also has a significant contribution to the development of the compound, and it manages two well-equipped club facilities. The access to the clubhouse facilities is included in the tenancy agreement. Residents get various indoor and outdoor facilities in the compound. They include a tennis court, snooker, swimming pool, sauna, satellite TV, table tennis, and gym. 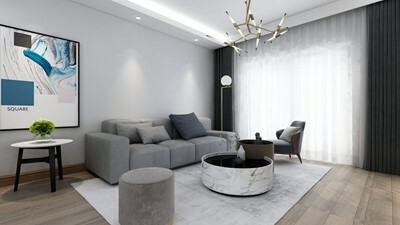 Oriental Manhattan in Shanghai is privately-owned, and the management has focused on contemporary interiors and integrated home technology in its construction. The Oriental Manhatten in Xujiahui has convenient and easy access to various destinations such as the Natural Park and Xujiahui shopping district. The location also provides quick access to public transportation such as metro line 1, 3 and 11. The apartments are brightly lit, spacious, and provided in well-furnished, excellent condition. The design of the apartments is simple, but still, it is highly appealing due to the features such as a balcony and bedroom cove lighting. 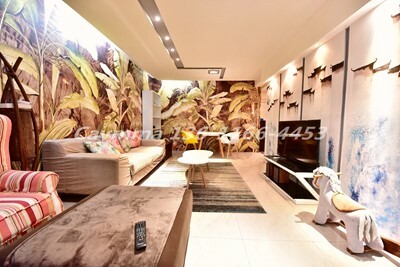 If you are looking to rent an apartment in Xujiahui in a family friendly compound La Cite might be perfect for you. La Cite Xujiahui is a compound offering apartments of 1 to 3 bedrooms in a secure, riverside development. The uniqueness of the compound is its high-rise buildings as well as a middle-end building. The compound consists of a total of 724 housing units with the overall covered area of 28,000 square meters. There is also a 100,000 square meters’ area under construction. La Cite Xujiahui is privately-owned, and the management has considered all environment-friendly and green aspects of the development. The management has also installed a dedicated security and management service that remains active 24/7. The open-plan kitchen and fantastic living room add to the comfort and luxury lifestyle in the apartments. 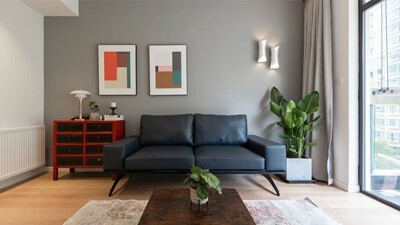 The apartments in La Cite have a central air-conditioning facility, and bright interiors and well-proportioned rooms further augment the room environment. La Cite Xujiahui is close to Xu Jia Hui CBD that is home to the best and renowned shopping malls. Residents also get quick and easy access to the Shanghai Sports Stadium and the electronics mall. Other facilities include a tennis court, gym, satellite TV, and an indoor swimming pool. La Cite Xujiahui has a high greening rate, and you will find a peace of mind due to eco-friendliness and living in harmony with nature. In Joffre Garden you can rent luxury apartments in the Former French Concession. The compound structure with 1 to 3 bedrooms has demonstrated sustainability and resilience all the years since its completion in 2000. The built environment has an equally aesthetic and architectural appeal for those seeking solitude and those preferring socialization. The residents get the ownership at an individual level, and design styles may differ from one apartment to another. You can rent apartments from 100 -300sqm. The rent may range from ¥23,000 to ¥52,000. Joffre Garden has a secure gated development and residents can avail the facility of off-street parking. While you can customize the design and look of your apartment, you can also access shared facilities available to each tenant. These include a gym, onsite facilities, tennis court, exercise zones, walkways, salon, satellite TV, coffee shop, and others. The compound is ideally located on Nanchang Road, and you enjoy 5-star services for all your requirements. It is just behind the IAPM Mall and South Shaanxi Road metro station. The IAMP Mall is close to the major commercial street that provides a fabulous shopping experience to the residents. Located at the south bank of Suzhou River/Creek, River house is one of the dream residential properties in the Shanghai for young couples and students. The River House apartment compound is situated in the heart of the city and a few minutes’ walk from the People's Square, a global tourist attraction. It is one of its kind in the area, with exclusive living spaces for people who love to enjoy a unique lifestyle. It offers advanced, fully furnished, well serviced and upmarket loft-style residence. River house has a large rooftop garden that offers a vibrant and panoramic view of the river and the city. It also includes a gym, 24/7 management and security service, play area for kids and satellite TV. River house is an epitome of beautiful living style with its sleek and stylish decorations and modern lofts. The River House offers affordable housing in Shanghai city center. 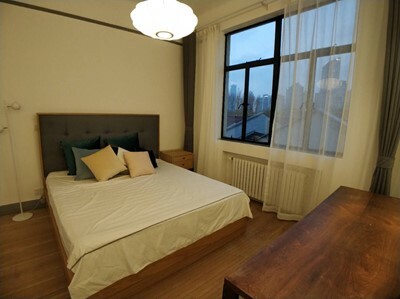 You can rent studio apartments in the heart of Shanghai starting from 8,000RMB. The neighborhood is surrounds amazing options for dining, shopping and exploring. The east end of the Suzhou River where it connects with the Huangpu River or the Bund is one of the most famous attractions. Given the historical importance of the riverfront, River House will soon become a landmark residence in Shanghai.